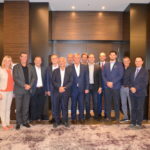 Athens, Greece, September 12, 2018 – The Volleyball Leagues Association met in Athens last Sunday, Monday and Tuesday, hosted by the Greek Volleyball League, to push forward its international recognition and fix new goals for players and the sport. 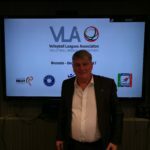 The official statute has been approved by the members and will be published on VLA website (www.volleyleagues.org). The collective Labour Agreement for Volleyball according to EU and Belgium law has been studied, to find a possible application for each country and to stress how fruitful the collaboration among a Volleyball League and the Workers Union can be. Tuesday session was devoted to the presentation performed by the representatives of EU Athletes, the European Elite Athletes Association for all sports which is recognized by IOC and European Union and represents more than 35 athletes’ unions. 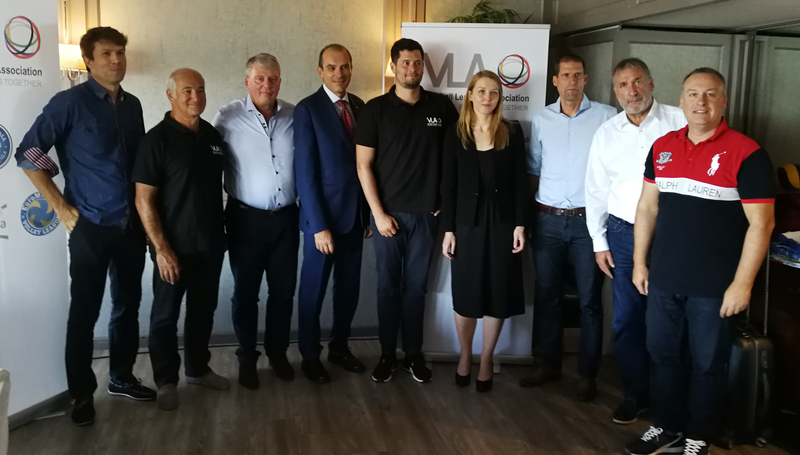 They have been welcomed by VLA members to set a framework for collaboration: both parties decided to go for an official agreement, which will be defined after the green light from the EU Athletes board. Five precise problems have been already pinpointed, such as non-EU players, transfers rules, regulations for players’ managers, calendars focusing on proper rest periods and health, participation of the athletes in the National teams respecting the Clubs as employers. 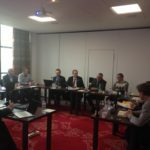 President Philippe Boone then closed the meeting after having defined the points of discussion which VLA is going to present in the upcoming weeks to FIVB and CEV. 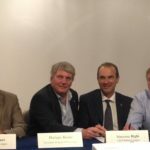 Recognition of the French, Italian, Greek, Polish, German and Belgian Leagues as official representative for all matters concerning the club competition in which their clubs are participating. Clean regulations on the international transfer fees and the on top conditions asked by some Federations. Joined actions with EU Athletes and the players unions in each country for the well-being of the players. 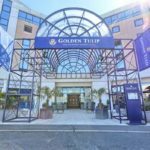 More considerations for the national competitions regarding set up for competitions calendars. More dialogue about release of players paid by the Club for national team activities.